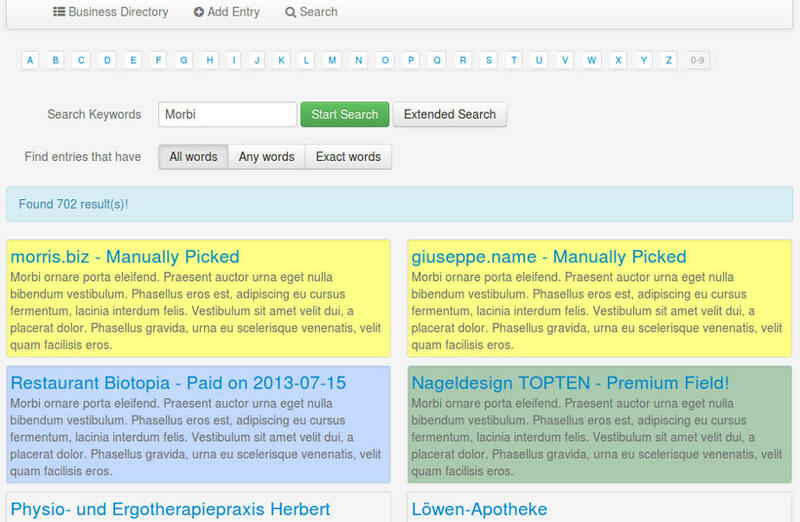 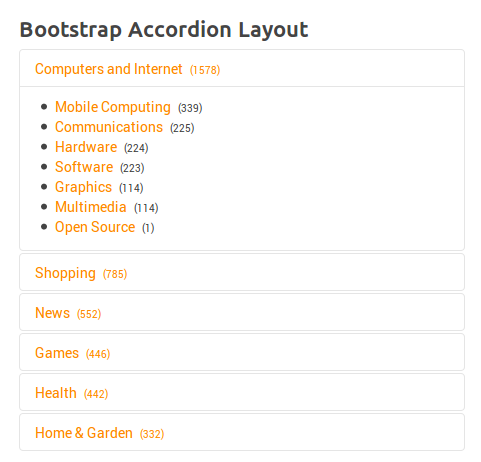 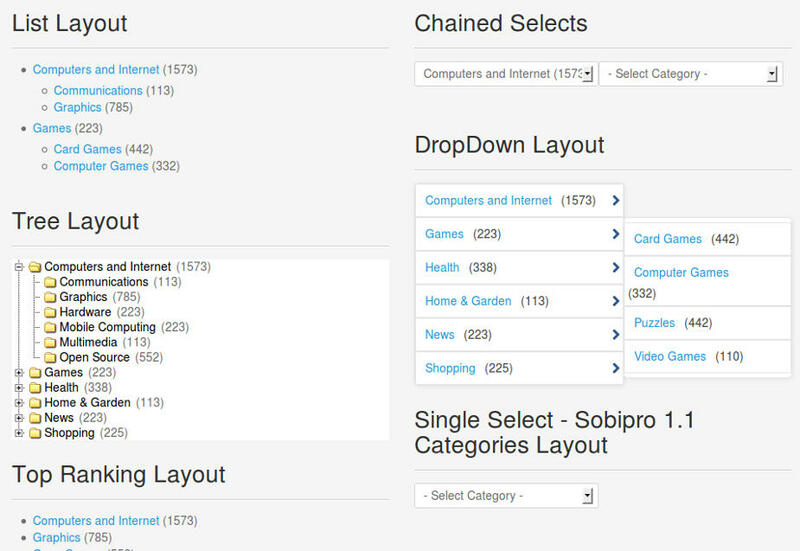 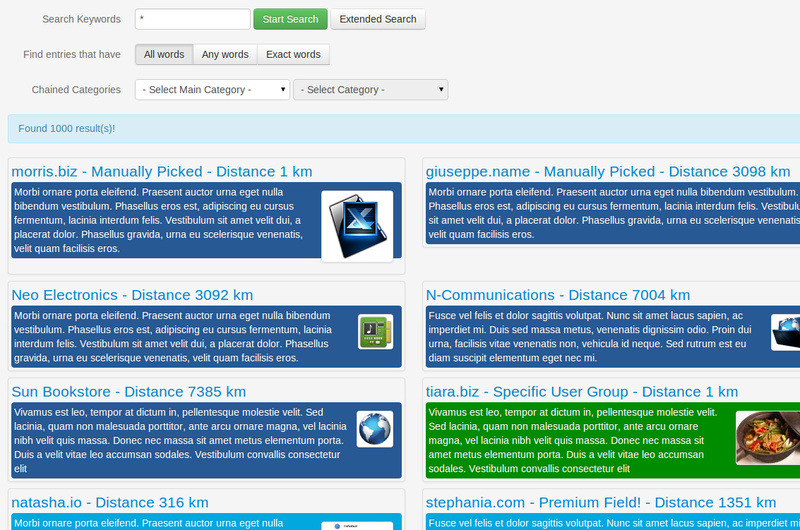 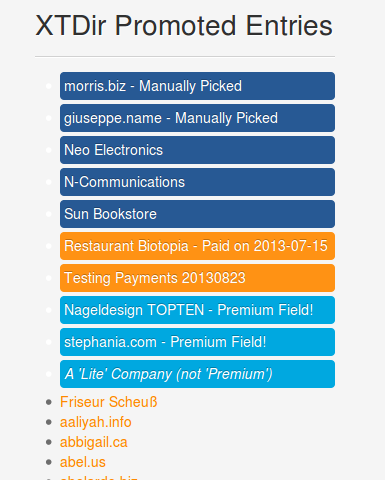 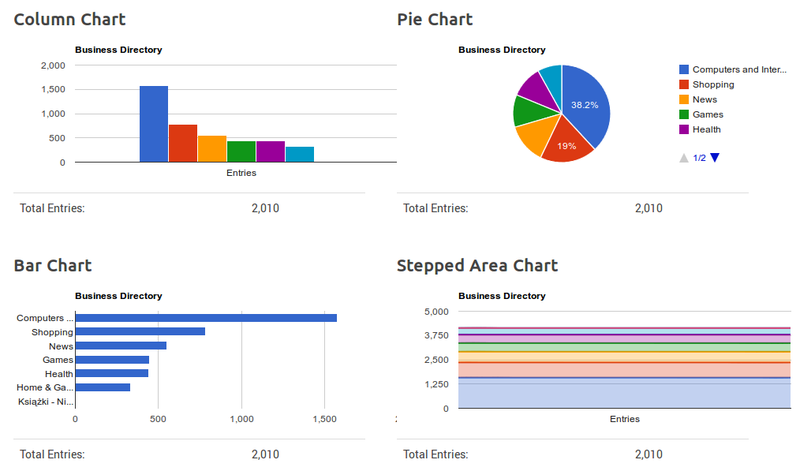 Show a list of entries, in two amazing accordion widgets ! 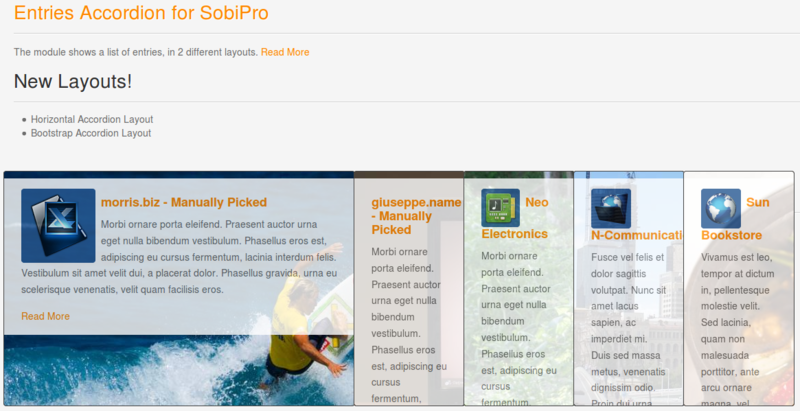 "... displays collapsible content panels for presenting information in a limited amount of space." 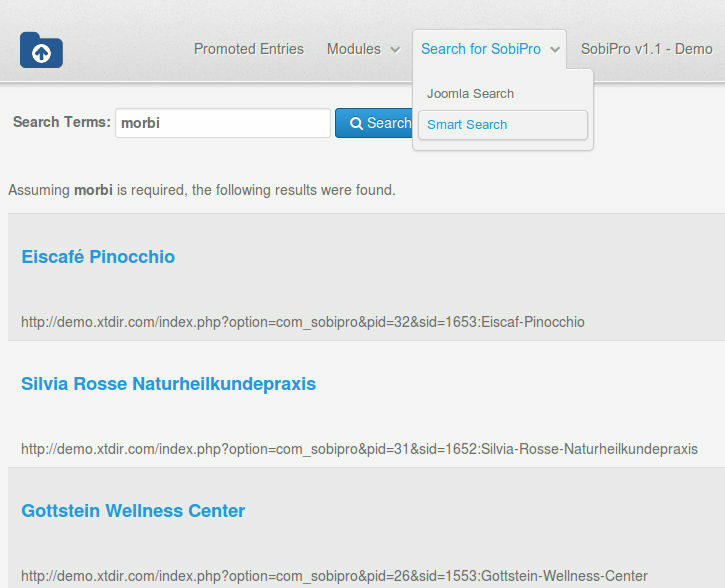 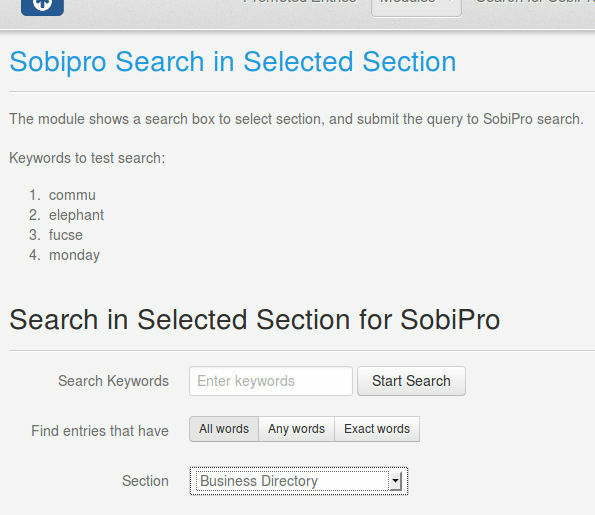 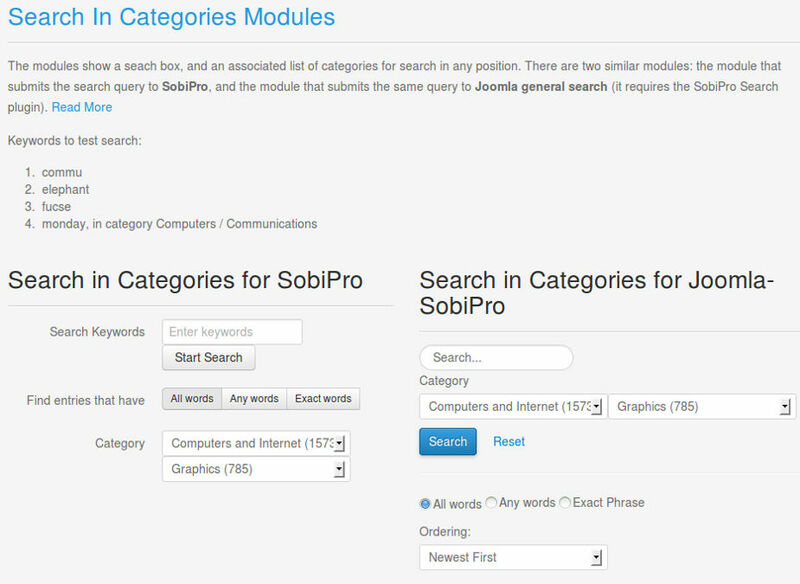 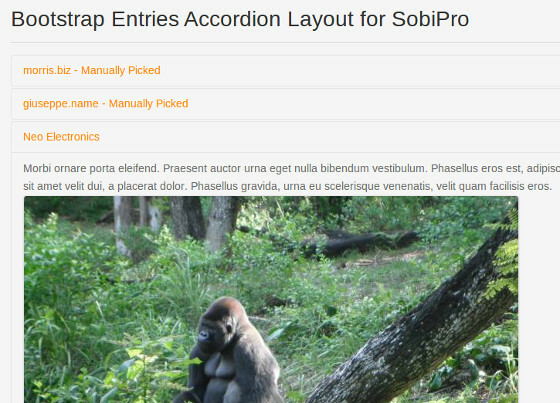 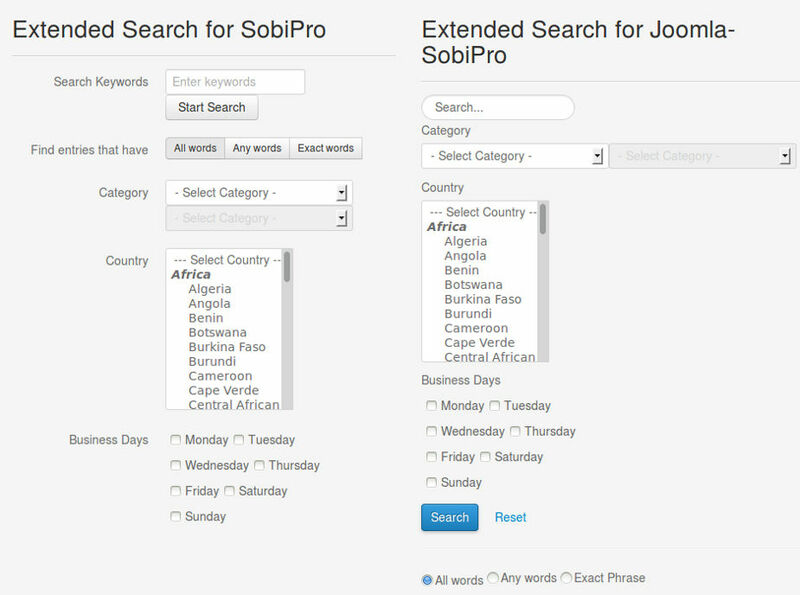 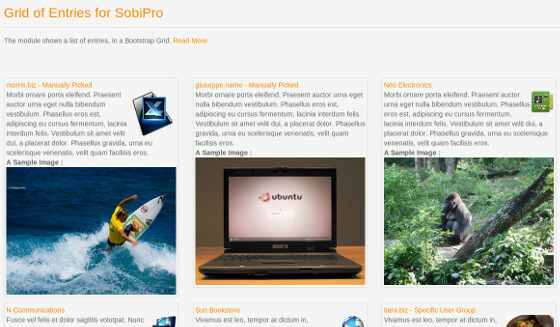 Support for SobiPro entries in a Horizontal Accordion ( jquery-slides, a pretty flexible and highly customizable slideshow/accordion plugin). 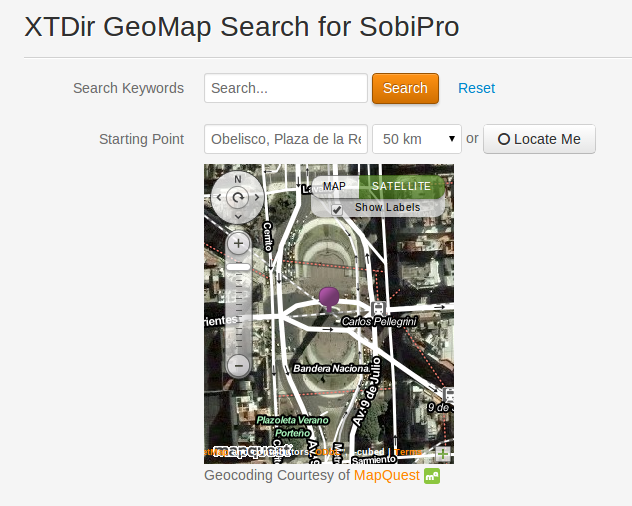 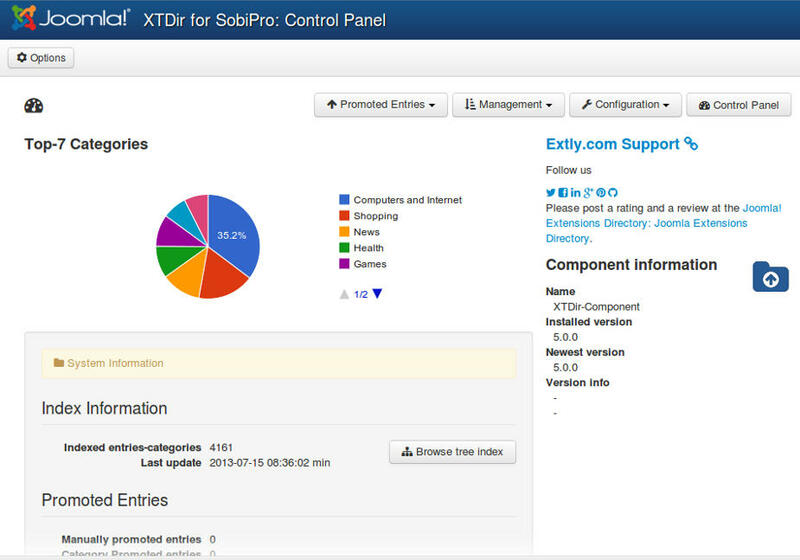 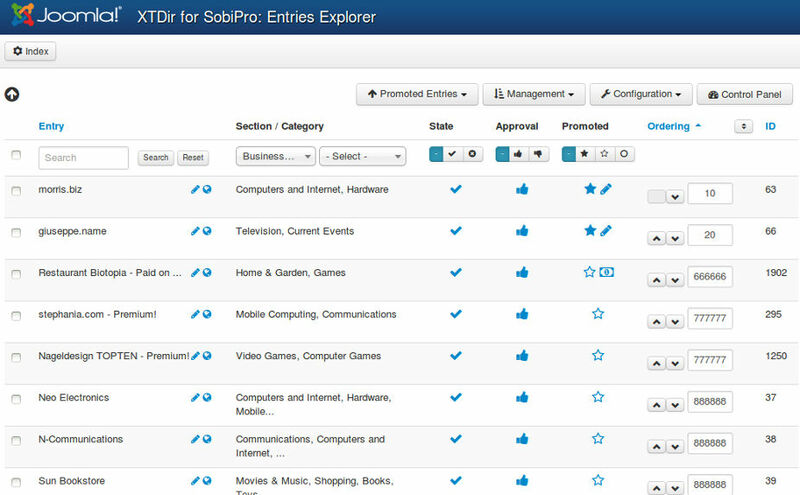 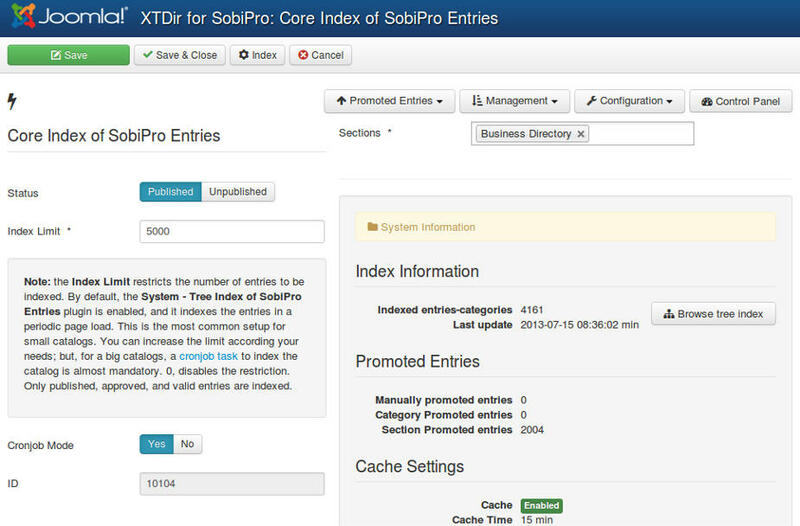 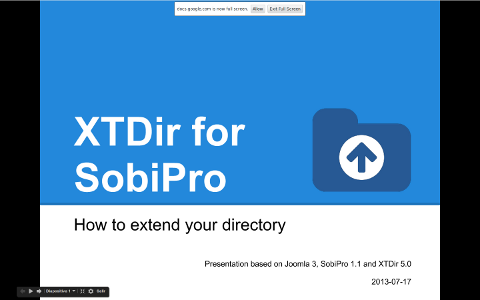 XTDir Entries Accordion for SobiPro is now included in XTDir for SobiPro.